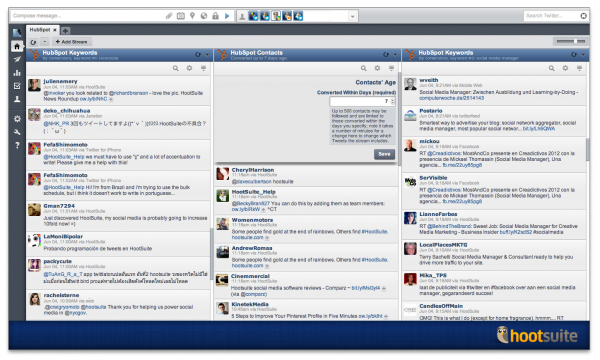 HootSuite is excited to announce a partnership with HubSpot, the world’s only all-in-one marketing software platform. The partnership will directly connect social media to generating, managing and nurturing leads for the first time with a new HootSuite App Directory integration – finally “closing the loop” on social media marketing. Tweet the news! In addition to the app, the two companies will join forces to break the existing Guinness World Record for the world’s largest webinar with the The Science of Inbound Marketing taking place on July 12. Mark your calendars! Co-hosted by HootSuite and HubSpot, The Science of Inbound Marketing attempts to make marketing history by breaking the Guiness World Record for world’s largest webinar. Together, the two companies will demonstrate the important role real data, facts and science play in inbound marketing. Held on July 12 at 1:00pm ET, all are invited to be part of marketing history by registering for the webinar. Follow hashtag #InboundSci for the latest on this groundbreaking event. 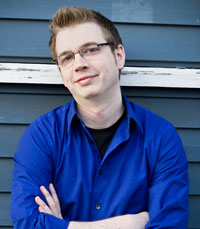 Dan is the author of The Social Media Marketing Book, an award-winning social, search and viral marketing scientist. Dan studies social media behavior from a data-backed position enabling him to teach marketers scientifically grounded best practices. Ben is the VP of Marketing where he is focused on marketing technology and the agile delivery of a platform for customer success. Formerly a principal customer experience strategist in the digital marketing space at Adobe, he was responsible for working across the Adobe organization to optimize the enterprise customer journey and define Adobe’s industry leading customer experience platform. 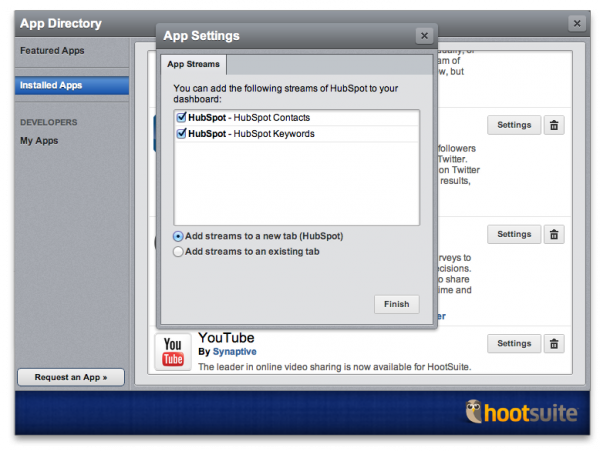 Driving the HootSuite-HubSpot partnership is the app integration in the HootSuite App Directory. The integration automatically pulls HubSpot Lead and Keyword data into HootSuite providing an opportunity for social engagement with leads and those mentioning top performing keywords without leaving the HootSuite dashboard. This powerful integration breaks ground on lead management by closing the loop on social media and inbound marketing. Customers of both HubSpot and HootSuite Pro/Enterprise are encouraged to apply to participate in the Beta program which will run for two weeks prior to the public launch at the end of June. 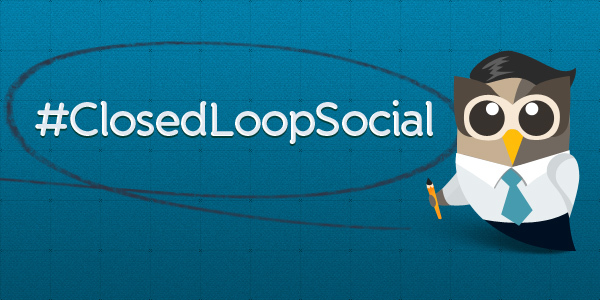 A white paper on closing the loop for social leads. Download now. A HootSuite University Lecture Series led by HubSpot Social Media Scientist about the Science of Social Media, Dan Zarrella. Watch today. The Science of Inbound Marketing – A world-record breaking webinar hosted by HootSuite and HubSpot. Register here! HootSuite is also the presenting sponsor at HubSpot’s Inbound 2012 – a 3-day marketing and training conference featuring a stellar lineup of keynote speakers including, Gary Vaynerchuk. Slated for August 27-30 at Boston’s Hynes Convention Center, Inbound 2012 strives to help marketing professionals, business owners and agency executives deepen their knowledge of inbound marketing. As the world’s largest gathering of inbound marketers, the event is a fantastic opportunity to network with over 2,000 event-goers. Attendees can expect inspiring keynote presentations, focused breakout sessions, expert-led workshops and innovative product demos. Look out for the HootSuite-HubSpot app which will be demoed live on stage. Designed for social business, the HootSuite-HubSpot partnership provides its users with a powerful, innovative tool and the educational resources needed to leverage and streamline their inbound marketing. We invite you to apply for Beta access and look forward to your insight as we continually fine tune this tool. Be sure to register for The Science of Inbound Marketing to get the straight facts and tactics needed to reach your audience. 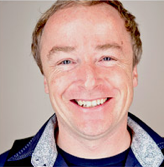 Andy is the Social Content Lead at Hootsuite. He manages publishing for Hootsuite's social channels.